The internet marketing world ramps up for fall; hot news items include: Google’s detailed site speed reporting; AdWords begins reviewing paused ads; Twitter hits the 100 Million active user mark; Google acquires ZAGAT; and releases a tool to help AdWords managers estimate the price of top ad positions. Google has enhanced site speed reporting in Google Analytics. Released in May, Site Speed let site owners view page load times; this update moves away from displaying average load time to segmented load times e.g. 30% of visitors are under 3 seconds page load time, 30% are under 7 seconds and 40% are over 7 seconds. You can also track conversions between these different segments. Try and guess which segment had the highest conversion rate! Twitter has announced that they’ve reached 100 Million active users. More than half of these people use Twitter daily, where 40% of total users use Twitter simply to follow. With support for 17 languages and Tweets being sent from outer space it seems like the “little engine of social media that could” is stronger than ever. 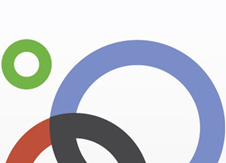 Up until now Google has relied on end-users to provide reviews for Google Places. 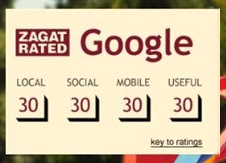 In late July Google abandoned third-party reviews in favour of strictly Google reviews for Places. That’s bound to change with all the high quality content that’s been written over the 3+ decades that ZAGAT has been writing reviews.